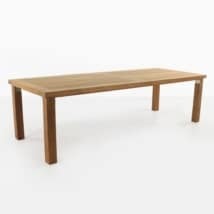 A thick, heavy, artistic, museum quality piece of outdoor dining furniture, this table is a thing of beauty. 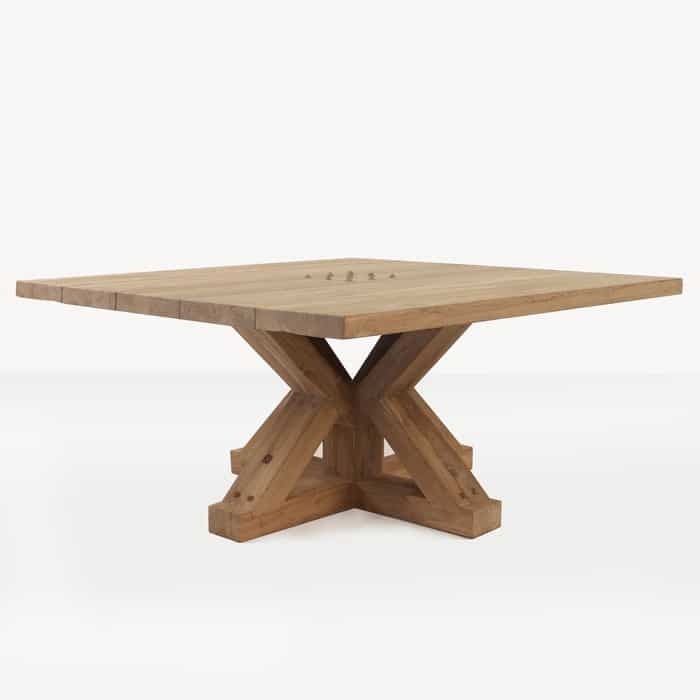 The geometric styling of the thick, square legs and the heavy tabletop combine in pure reclaimed teak wood to offer a perfect outdoor dining table. 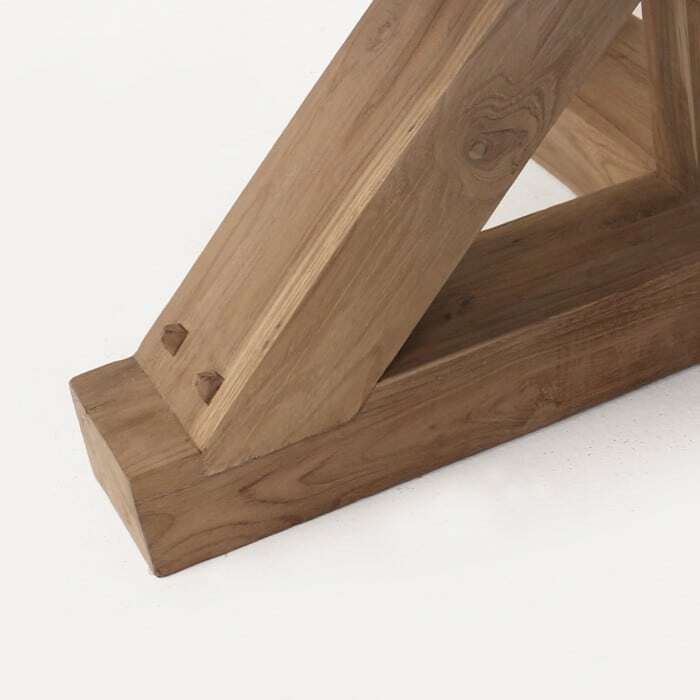 This table is bold, and heavy; artistically inspired and capable of eliciting a lot of comments from guests and onlookers. 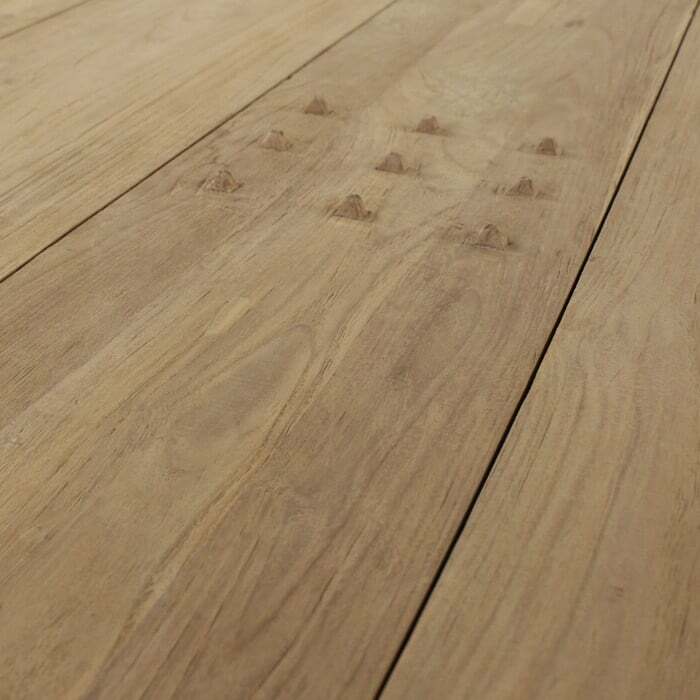 The reclaimed teak build, make it all the more spectacular, to find wood like this in this format/size, represents a special construction project. The flow of the piece, despite opposing shapes and design qualities, makes it a perfect addition to any space, where it will surely complement other majestic or more subdued pieces of furniture. 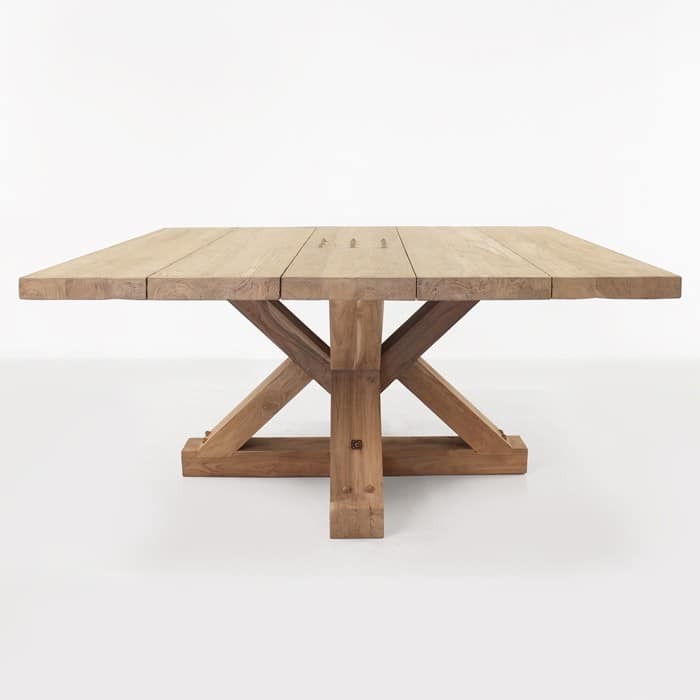 Made from 100% reclaimed teak wood. W63" x L63" x H29.5"